CINCINNATI (AP) -- As Roger Federer and Novak Djokovic battled for the title at the Western & Southern Open north of Cincinnati, a small plane buzzed overhead, trailing a banner calling the sponsor a bunch of bullies. The public nose-thumbing gave thousands of tennis fans a window into another match being played out downtown — between insurance giant Western & Southern Financial Group and a nonprofit home for women called the Anna Louise Inn — a fight that is headed for the Ohio Court of Appeals this month. It has become the most public conflict in the transformation of Cincinnati, as well as a stark example of the difficulty in balancing the public benefits of gentrification with the human costs. "We really do believe enough is enough," said Mary Carol Melton, executive vice president of Cincinnati Union Bethel, a nonprofit that operates the inn. "It's like someone coming up to you and saying, 'I want to buy your house' and you politely say it's not for sale, and they don't understand that not for sale means it's not for sale." Western & Southern, a Fortune 500 company, has been trying for several years to buy or force the Anna Louise out of the Lytle Park Historic District, the beautiful and serene neighborhood they share, and turn it into a boutique hotel. The company has successfully sued to stop renovation of the 103-year-old property and publicly disparaged residents as homeless prostitutes who don't belong in the neighborhood. CEO John Barrett wrote in The Cincinnati Enquirer last month that he wants to acquire the Anna Louise not out of greed, but to turn the building into a hotel, "which we believe is its best use given the historic character and architecture" of the neighborhood. The home's low-income residents and their supporters have been fighting back, protesting outside company headquarters, filing a lawsuit alleging discrimination and posting a biting online video in which a company spokesman is parodied as saying: "Why would you want to give safe housing to women in need when we can hook you up with a view like this?" And then there was the flyover at the tennis tournament in August with the banner: "W & S: STOP BULLYING ANNA LOUISE INN." Western & Southern has a long attachment to the Lytle Park area. It paid to have the neighborhood's namesake preserved in 1970 when an interstate tunnel went in. The company is headquartered next to the park and developed a $322 million, 41-story office tower down the street that opened last year. It owns other properties in the neighborhood, including a recently renovated upscale hotel. The company has a standing offer to buy the Anna Louise for $3 million and argued in the newspaper that the women would be better off in "a brand new, built-to-suit building in a better location, closer to services, health care and transportation." Barrett pointed to a University of Cincinnati study commissioned by Western & Southern that shows a hotel there could generate $355 million in economic impact over 30 years. "Under our proposal, we hope to break even, but the phenomenal benefits to the city are too great to pass up. It is the right thing to do for Cincinnati," Barrett wrote. "No one loses with our proposal." The building has been housing low-income, single women since 1909, after President Howard Taft's brother, Charles P. Taft, built it for ambitious types pouring into Cincinnati to work as stenographers, bookkeepers and secretaries. He named it after his daughter. Over the years, the inn has become a haven for women looking to make a new start. Some residents are former prostitutes and drug addicts; some have left abusive relationships; and some are between jobs. Several have lived there for decades. "This is my home. It would just break my heart if I had to move," said 47-year-old Sherene Julian, who has lived at the inn for nearly three years after escaping a life of prostitution and drugs. "This place has helped me get my life back together." 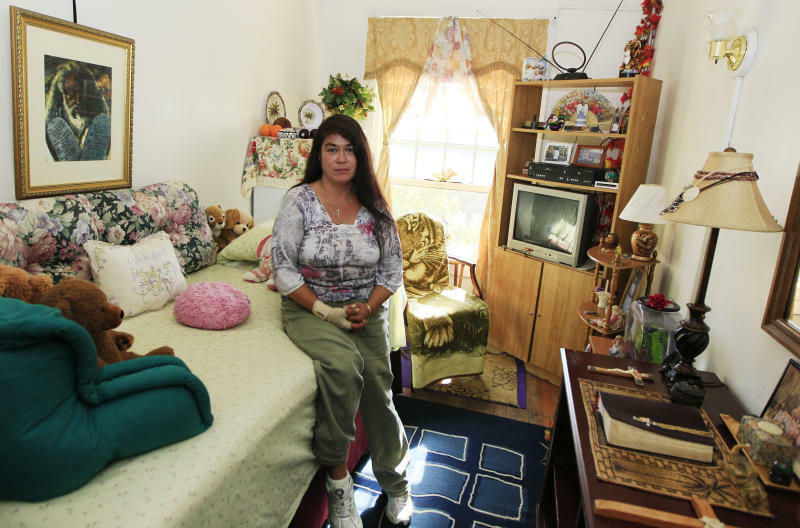 All 78 women now living there pay about $250 a month for a cramped bedroom with community bathrooms and kitchen, just across a park from large one-bedroom apartments that start at $1,575 a month. In need of expensive renovations, the inn considered selling a few years ago and got a $1.8 million offer from Western & Southern, less than half the property's value. The inn decided not to sell after winning $12.6 million in federal and state tax credits, allowing it to stay put and give the residents more room and privacy. Days before the renovation was to begin in May 2011, Western & Southern sued the inn and the city, and a year later successfully won its argument that the inn wasn't properly zoned and shouldn't be allowed to renovate. The Anna Louise's appeal is the subject of a hearing Oct. 30. It's just one battle being fought in Cincinnati, an Ohio River boomtown that fell on hard times after the decline of manufacturing. In recent years, parts of the city have resurged, largely due to development and cash from hometown companies like Western & Southern, which reported $12 million in charitable donations and community sponsorships in the city in 2011. The company used to donate to the Anna Louise but has stopped. The city and a nonprofit developer have been rehabbing Over-the-Rhine, a historic but troubled neighborhood that was the site of race riots in 2001. Dozens of buildings have been restored, trendy restaurants and bars have opened, and a popular park underwent a $48 million transformation. But three residents alleged new rules at the park were designed to exclude the homeless and poor, and community activists argue the changes have forced out low-income residents. "This is not just a Cincinnati story. This fits into a much larger picture, even a global picture," said Sharon Zukin, a sociology professor at Brooklyn College who studies urban change. "There's a whole group of cases like this where corporations just sweep out anybody who doesn't fit their new scenario." Zukin pointed to a nursing home in New York City's Greenwich Village, which used to have low rents that attracted artists and bohemians but now teems with celebrities and others in the upper crust. Last year, a developer paid about $30 million for the property to put in high-end condos, and the nursing home moved. "In the interest of upscaling a neighborhood and attracting the young creatives, the empty-nesters and the gentrifiers, high-level corporate people pay high prices to supposedly regenerate the centers of our cities," Zukin said. "In doing that, any facility that helps the old, the sick and the poor is kicked out."